Toys packed in PVC bag, blower packed in carton box,or packed as your request. 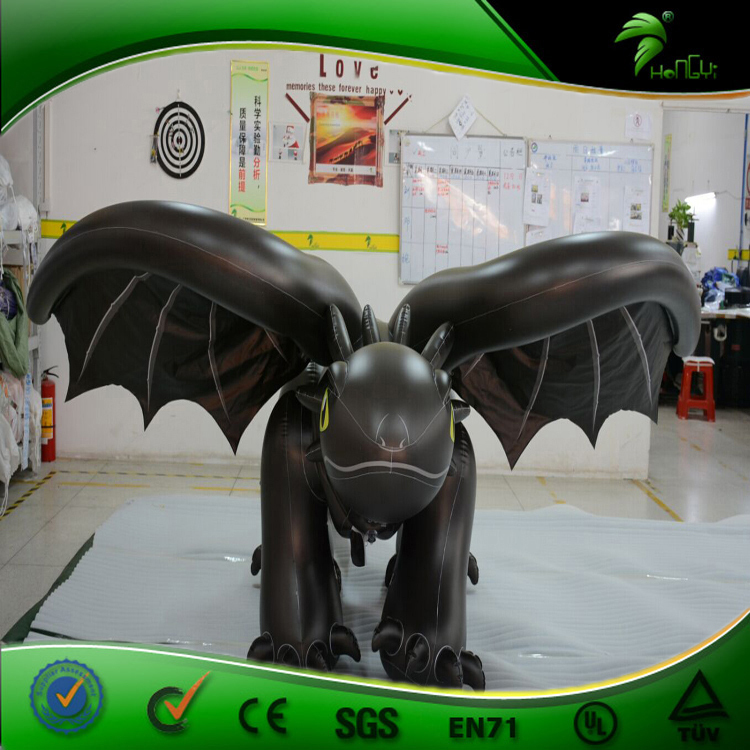 inflatable dragon red You are still worried in that your company or products not known to more people? You are still racking your brains to promote your products? You want to catch the public’s eyes to show yourself? You want to entertain your guests more on the ceremonies? If yes, come on, a lively inflatable cartoon product can help you solve all the problems. “Nothing we can’t make unless you can’t think.” is our slogan, if you don’t believe; just tell me what you want to test us. Why you are still hesitating? Just send us your email. We work on your ideas. 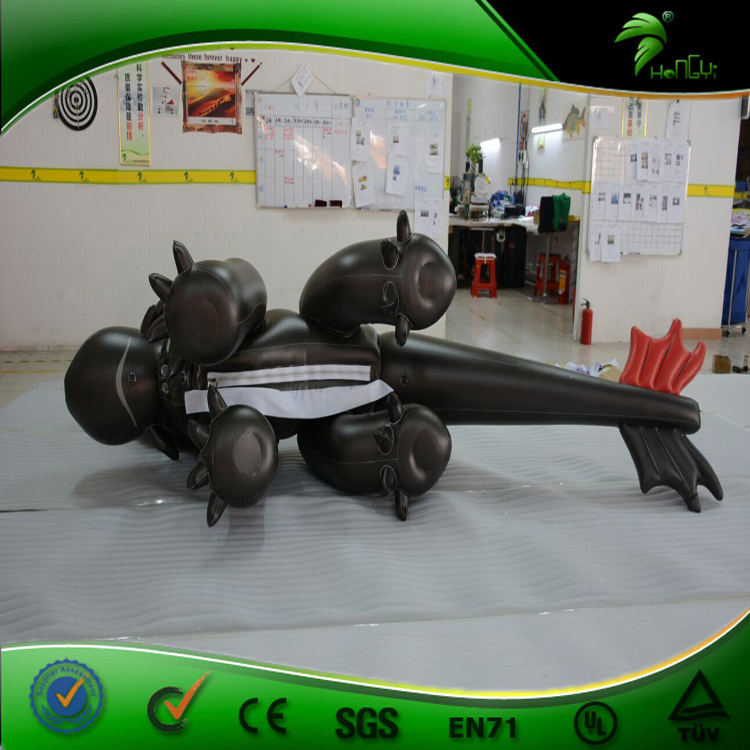 inflatable products that we can supply. 2. This item can bring more and more visual enjoyment,very interesting. 4. We think highly of the fast devery time,you are worth owning! 5. We provide reliable quality guarantee and first-class after sales service. 6. In order to improve the quality of products, we use the professional UV printing to keep the products from scratching and the color from fading. How to buy it from us? 2. After we receive the down payment, we will inform you and arrange the production immediately! 3. Once we finish the products , we will send you the photos to check and confirm. 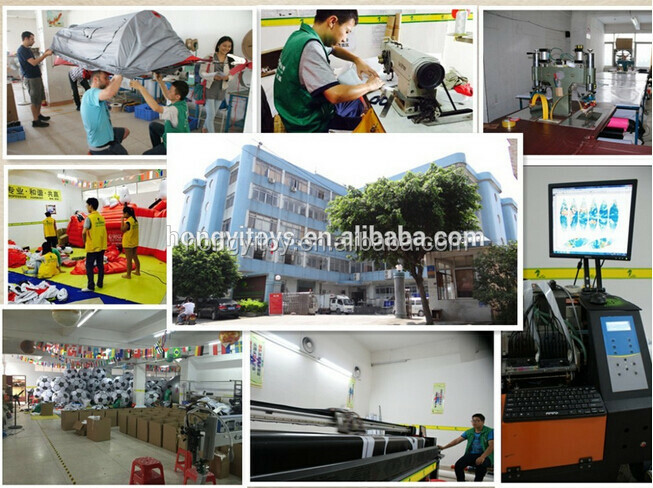 Guangzhou Hongyi Manufacturing Co.,Ltd has been concentrated in inflatable products for over 10 years, and specializing custom made any inflatable products according to customers' requirements, such as inflatable bouncers, castles, slides, combos and more. our water slides, water parks, inflatable tents and inflatable toys have earned ourselves a good reputation for the excellent quality, fast production, prompt delivery and price! 1.Buyer choose favorite items on our website and email us items No. need. Also give us pictures buyer want to customize. 2. We send buyer quotation for confirmation. After every details confirmed ,We will send buyer perform invoice. Buyer need to sign on it and send back by e-mail or fax. 3. Buyer transfer down payment for order, and send us the bank slip for check. 4. After received deposit, we will arrange order production to factory . 6. Once goods finished, we will email buyer pictures for confirmation. 7. After buyer confirm pictures, then pay balance to us in case arrange shipment with your forwarder. All of our products will come with the CE/UL blower or pump, storage bag, repair kits. 2. How can we install the inflatable products ? 3. How do I clean it ? 4. Your blowers and pumps meet CE/UL requirements ? All of our blowers and pumps come with the certificate of CE/UL. 5. Can we change the shape, size, color or printing my picture or logo based on the original design? 6. What kind of guarantee you provide? We provide 3 year warranty for the inflatable product, and 1 year warrantee for the blowers or pump, we will send a kit bag for each inflatable product. the ink we use is imported with high quanlity ,color is strong durable and vivid. 3,Material we use is SGS/EN 71 Testeed water /fire /UV proof. 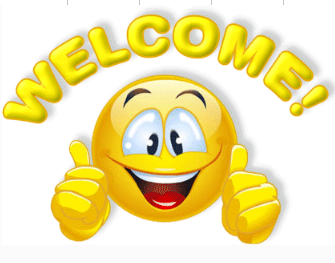 We are sincerely looking forward to developing business with you ,please feel free to contact me if there is any other question from you! We are waiting for your reply soon.